The Tribes are composed of several Shoshone and Bannock bands that were forced to the Fort Hall Reservation, which eventually became the Shoshone-Bannock Tribes. There are approximately 5,681 enrolled tribal members with a majority living on or near the Fort Hall Reservation. Through its self-governing rights afforded under the Fort Bridger Treaty of 1868 and the Indian Reorganization Act of 1934, the Tribes manages its own schools, post office, grocery store, waste disposal, agriculture and commercial businesses, rural transits, and more. In 2012, the Language and Cultural Heritage Department initiated an ongoing holistic language preservation project and are collecting oral histories from tribal elders which are then transcribed and translated into written documents and preserved as audio archives. They are also developing language curricula for school classrooms and teach language classes on a regular basis. 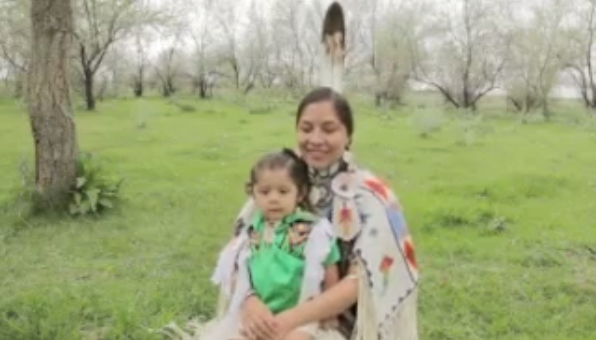 Responses to "Shoshone Bannock mother sings a song to her young son in her traditional language "